Trung joined Watsi on April 24th, 2017. Two years ago, Trung became the 2791st member to automatically support a new Watsi patient every month. Since then, 2,301 more people have become monthly donors! Trung's most recent donation traveled 1,900 miles to support Dirony, a boy from Haiti, to fund prep for cardiac surgery. Trung has funded healthcare for 25 patients in 10 countries. Dirony is a student from Haiti. He lives with his parents and three siblings in a neighborhood of Port-au-Prince. He is in the fifth grade and especially enjoys math and science. Dirony has a cardiac condition called atrioventricular septal canal defect. A large hole exists in the center of his heart, causing blood to mix between all four chambers; this leaves him sick and short of breath. Dirony will fly to the United States to receive treatment. On May 2, he will undergo cardiac surgery, during which surgeons will use patches to close the hole in his heart. Another organization, HeartGift Foundation, is contributing $18,000 to pay for surgery. Dirony's family also needs help to fund the costs of surgery prep. The $1,500 bill covers labs, medicines, and checkup and followup appointments. It also supports passport obtainment and the social workers from our medical partner, Haiti Cardiac Alliance, who will accompany Dirony's family overseas. His mother says, "I am hoping that Dirony will not have to miss school so often once his heart is healthy." Alex is a young student from Kenya. Alex’s mother sells groceries to support her family. Alex has been diagnosed with encephalocoele, a type of neural tube defect in which brain tissues and overlying membranes protrude through openings in the skull. Encephalocoele usually results from a failure of the neural tube to completely close during fetal development. Without treatment, Alex is at risk of developmental delays, brain damage, or premature death. Our medical partner, African Mission Healthcare Foundation, is requesting $929 to fund encephalocoele repair surgery for Alex. The procedure is scheduled to take place on February 11. Hopefully, the repair of this condition will allow Alex to grow up healthy. “The swell was really worrying us but we are happy to know so many people have had the same issue and got treated,” says Alex's mother. Emmanuel is a baby from Kenya. His grandparents and mother are subsistence farmers who own two cows. Emmanuel was born with spina bifida, a type of neural tube defect in which the spine does not properly close around the spinal cord. 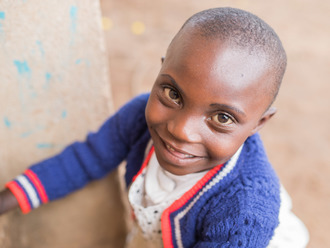 Without treatment, Emmanuel is at risk of lower-limb paralysis, infection of the exposed nervous tissue, development of tethered cord syndrome, and possible developmental delays. Our medical partner, African Mission Healthcare Foundation, is requesting $1,097 to cover the cost of Emmanuel's spina bifida closure surgery. The procedure is scheduled to take place on January 23. 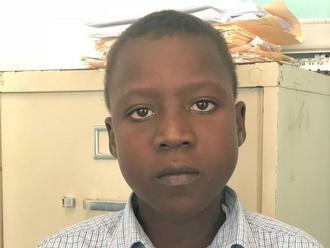 This procedure will hopefully spare Emmanuel from the risks associated with his condition, instead allowing him to grow and develop along a healthy trajectory. “I feel at home at BethanyKids where everyone I meet treats me well and this makes me garner hope that my son will recover,” says Emmanuel’s mother. Cherly is a young adult from Haiti. She lives with her husband and 15-year-old daughter in Port-au-Prince. She is not currently working due to her heart condition. Cherly has a cardiac condition called rheumatic mitral and aortic regurgitation. Two of the valves of her heart are damaged as a result of an infection she suffered a number of years ago. As a result, her heart cannot adequately circulate blood through her body, and she is in heart failure. 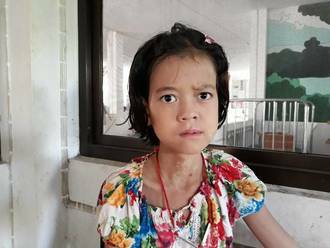 Cherly will fly to United States to receive treatment. On November 21, she will undergo cardiac surgery, during which surgeons will replace two of the damaged valves in her heart with artificial valves. Another organization, the Heart Hospital Baylor Plano, is contributing $75,000 to pay for surgery. Cherly's family also needs help to fund the costs of surgery prep. The $1,500 bill covers labs, medicines, and checkup and followup appointments. It also supports passport obtainment and the social workers from our medical partner, Haiti Cardiac Alliance, who will accompany Cherly's family overseas. She says, "I am looking forward to this surgery so I can spend more time doing things with my daughter." Candle is a seven-year-old student from Burma. He lives with his family in Htee San Ra village, Myawaddy Township, Karen State. During his school holiday, Candle was riding with his uncle and grandmother on a motorbike. While they were going down a hill, the motorbike slid and fell onto Candle’s left thigh, breaking his femur bone. Currently, Candle is in pain, and he cannot move his leg. With the help of our medical partner, Burma Children Medical Fund, Candle will undergo surgery to reset his fractured bones and ensure proper healing. The procedure is scheduled for October 15 and will cost $1,500. This procedure will help Candle to be free from pain and walk again. His father says, “This is the first time that an accident has happened to someone in our family. We are both very upset to see our son suffer from the pain and as a father I feel sorry for him and I cannot sleep well." 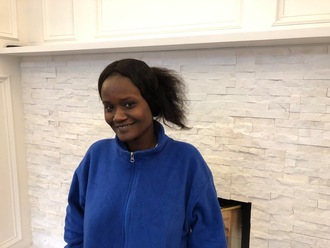 Esimy is mother of four from Malawi. She lives with her husband and four small children. She spends her days caring for her family and playing with her children. Since August 2017, Esimy has been experiencing pelvic bleeding. She has been diagnosed with uterine fibroids. She needs to undergo a hysterectomy, a procedure in which surgeons will remove her uterus. Our medical partner, World Altering Medicine, is requesting $650 to fund Esimy's surgery. On August 21, she will undergo gynecological surgery at Nkhoma Hospital, our medical partner's care center. The requested money pays for supplies, medications, and seven nights of hospital stay. She is relieved that this program will help her, and she looks forward to getting back to her daily activities. She says, "Without this help I could do nothing, so I am very thankful for this program." Ko Than is a 38-year-old man from Burma. He lives with his mother, his sister, his brother-in-law, and his nephew. He makes an income by collecting and reselling scrap material. Ko Than was in a car accident in which he injured his left leg. After the injury, he developed an abscess on his left leg. Unfortunately, the wound never closed completely. Four months ago, his leg became swollen. Without treatment, Ko Than is at risk of developing severe damage to underlying bone and tissue. Our medical partner, Burma Children Medical Fund, is requesting $851 to cover the cost of a local rotation flap procedure for Ko Than, which is scheduled to take place on July 24. Surgeons will rotate a partially attached piece of skin onto the wound, allowing for optimal vascularization and tissue reconstruction. Ko Than says, "In the past, I started to go back to work with my wound, but the pain was too strong and I was afraid I would get an infection. 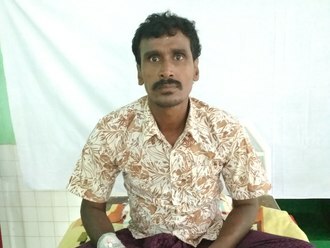 I hope that my leg can be healed, and that I will be able to go back to work."